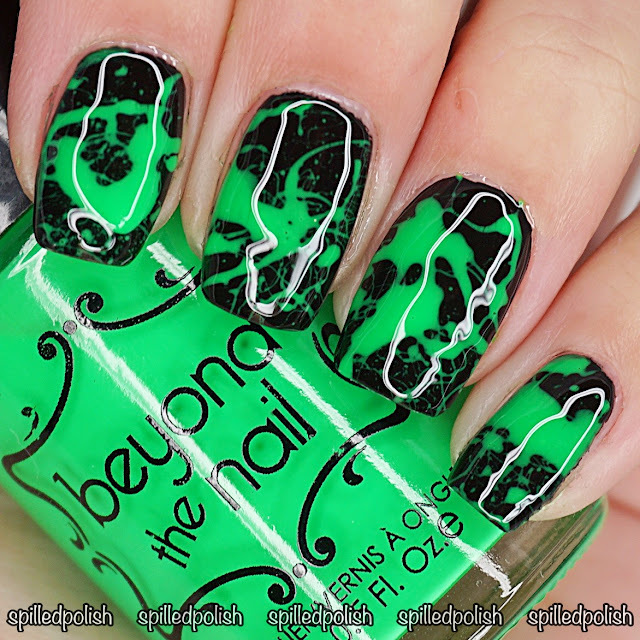 Ok, I have been having WAY too much fun with these splatter nails! Although they are seriously a messy job, they're tons of fun! I started by painting each nail off with one coat of Beyond the Nail - Deep Black. While it was drying, I painted around each nail with Nail Experiments - Easy Peel Latex Barrier. 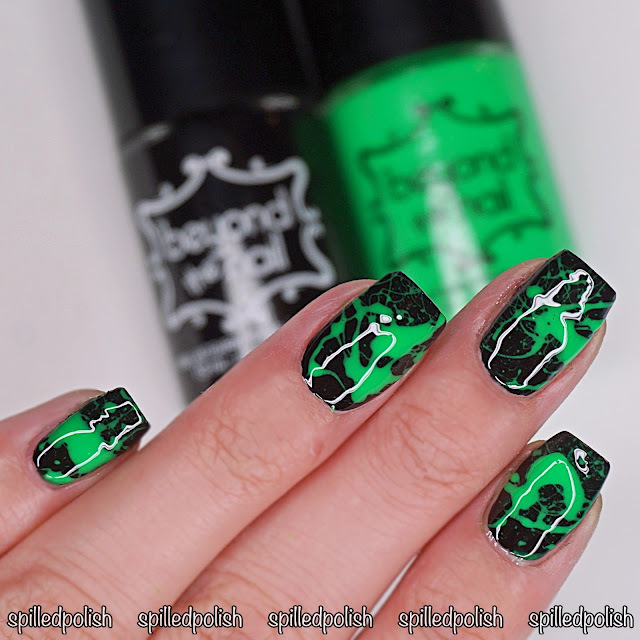 When everything was dry, I got a straw, dipped it into my bottle of Neon Green polish from Beyond the Nail and blew over each nail to leave this fun splatter design. I peeled away the latex barrier when I was done, and topped each nail off with one coat of PRO-FX - Quick Dry Topcoat.